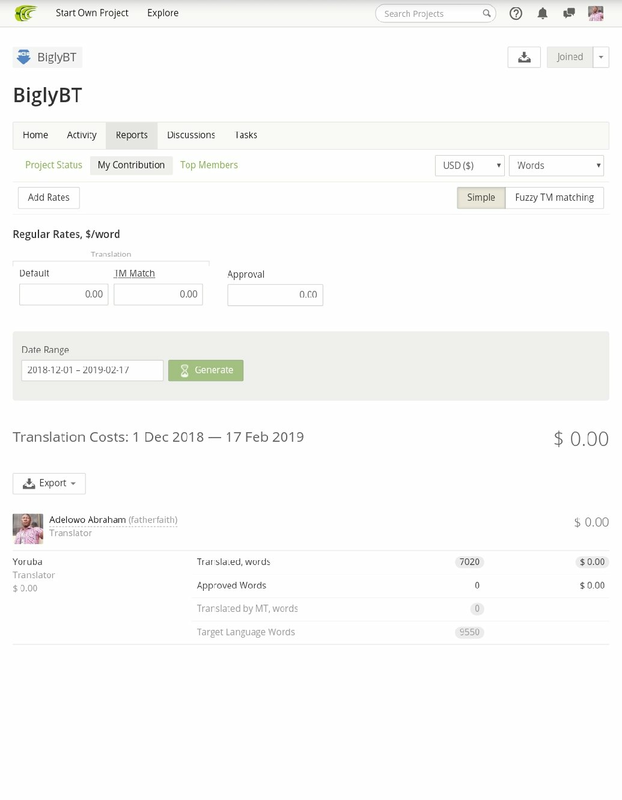 This is my fifth translation report on the BiglyBT project. Check out the previous reports: first, second, third and fourth. Working on this project is really helpful to me, as there are lots of things to learn, which wouldn't have been possible without this kind of opportunity. Honestly I am enjoying working on the project because it has helped me know more about torrenting. It contains a lot of computing words which require a high level of understanding in computing because the literal meaning of the words are totally different from what they mean in computing. So one needs to first understand the meaning of the words as they are being used in the computing world so as to get a perfect translation. All the words were translated from English to Yoruba Language except for few words that have to remain like Torrent, IP, peer, swarm, bootstrap, bitfield, Vivaldi and so on. New words I came across in this session include decentralized, database, execute, re-integrate, bootstrap, Nodes, ping, Vivaldi, bitfield and so on. The project's translatable texts are a total of 27,458 words and in this session which is my fifth session, I was able to translate 1,517 words making an overall translated 7,020 words (25% of the total). The project should be completed in 20 sessions approximately (~15 left). I translated a total of 1,517 words from the source language to a total of 2,050 words of the target language as estimated and shown in the picture above.